This topic is often covered on many travel blogs and in all honesty it doesn’t matter how many tips you read or advice you receive only you alone can pick the right sort of luggage. I have various types of luggage and I use them all for different trips. Thankfully my trusty backpack is still going strong after 10 years of use and I have never had to change this. Unfortunately my suitcases seem to get destroyed too easily and my small rucksacks have never been as good as the one I talked about in me and my little rucksack. So for me it was time again to start hunting for some new luggage. I needed a new suitcase for longer holidays or business trips but also wanted something that was easy and convenient for hand luggage. Especially for when I fly with low cost carriers to all the best beaches in Europe! I can fit two weeks of stuff in a small cabin baggage sized case or rucksack so this was to be an important choice and I have to say I am so happy with what I chose for my cabin baggage sized luggage. What I love the most about it is all the different ways I can use it. I can carry it, wear it as a rucksack or wheel it as a suitcase. 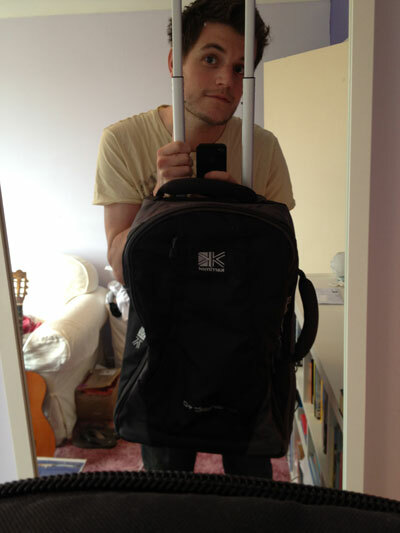 Its the most ideal piece of small luggage I have ever owned. I’m happy and posing as you can see! 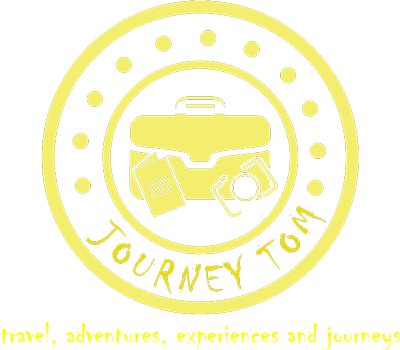 🙂 So many times I’ve taken a small suitcase and its annoying to wheel round and too heavy to pick up, other times I’ve taken a rucksack and its been too heavy and my shoulders ache and I just want to put it down whilst I’m standing in queues – Now I have the best of both worlds! Like I say im so happy with my choice and would definitely recommend a bag like this if it fits in with how you travel. I also got another suitcase at the same time as the Karrimor transit and opted for a No Fear hard case. 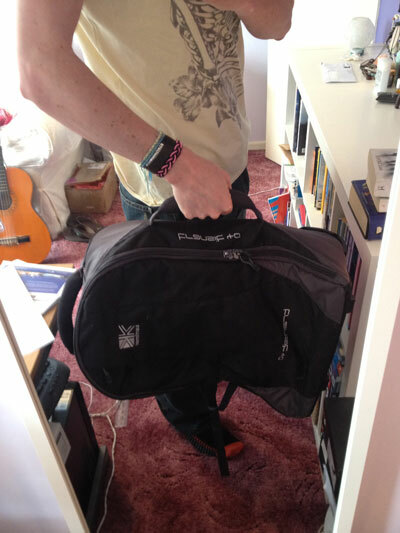 To me a suitcase isnt as exciting as the Karrimor bag but I need something practical and very sturdy. All my previous cases just get ripped to shreds so quickly so I am hoping that by going for a hard case it should last a little longer. 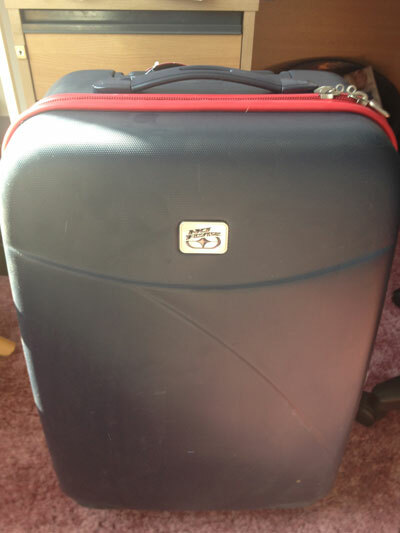 The one thing I really like about this suitcase though is the fact it has four wheels! I’ve never had a four wheeled suitcase and its so much easier to push or pull along that the ones you drag with two wheels especially as I’m tall and the drag handle never seems to come up high enough for me. Like I’ve spoken about before in me and my little rucksack I often fall in love with my luggage! Strange I know but when you get a good piece of luggage that is reliable it becomes a great travel companion. 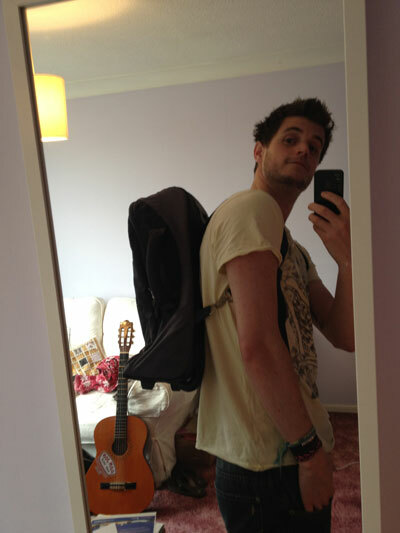 Let me know if you have fond memories of old backpacks or rucksacks and what cool bits of luggage you have nowadays? 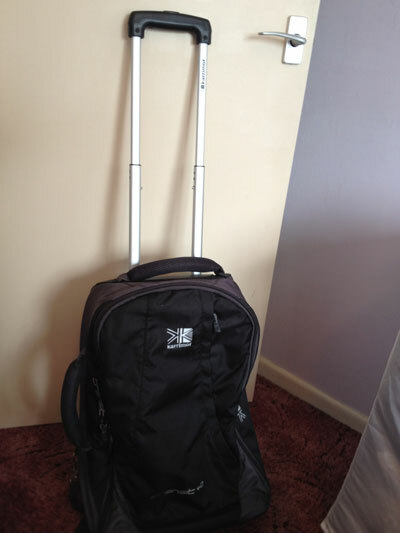 i’m going to buy such universal Karrimor suitcase but in larger size (70L). 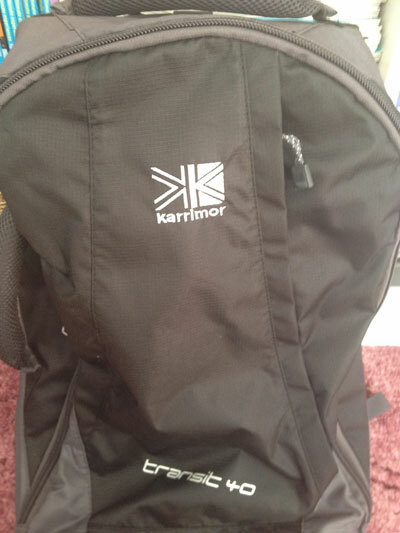 so how about durability of your Karrimor bag? does it survive in your journeys? It has done okay so far I have used it quite a lot and all that has happened is that I have a rip on a section of the inside lining. I find that its uncomfortable to carry on your back for long periods of time when compared to other rucksacks but overall I am very happy and it serves it’s purpose well as a small trip bag. 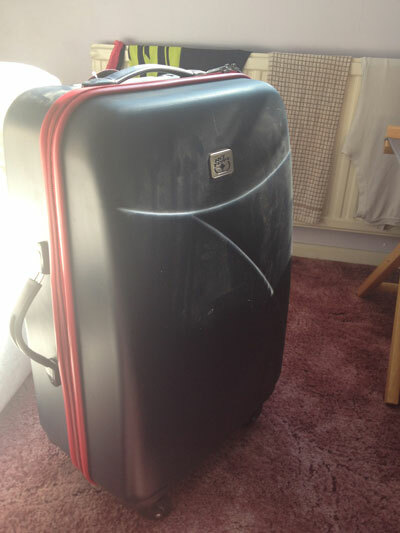 Hi Tom, do you have any more experiences with that No Fear suitcase since the time you bought it? I’m thinking about getting one but I’m not sure about the quality of the shell and the wheels. What do you think? Do you like it? Thx, Adam. Hey – Yeah I have used it loads and the shell and wheels are still going strong. The only thing that has broken is the zip tags, they are a really soft metal so snapped of quite easily other than that I have been pretty happy. I have the midsize one.